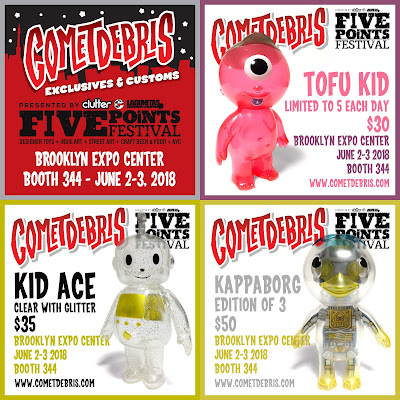 The Blot Says...: Cometdebris' Five Points Festival 2018 Exclusives! 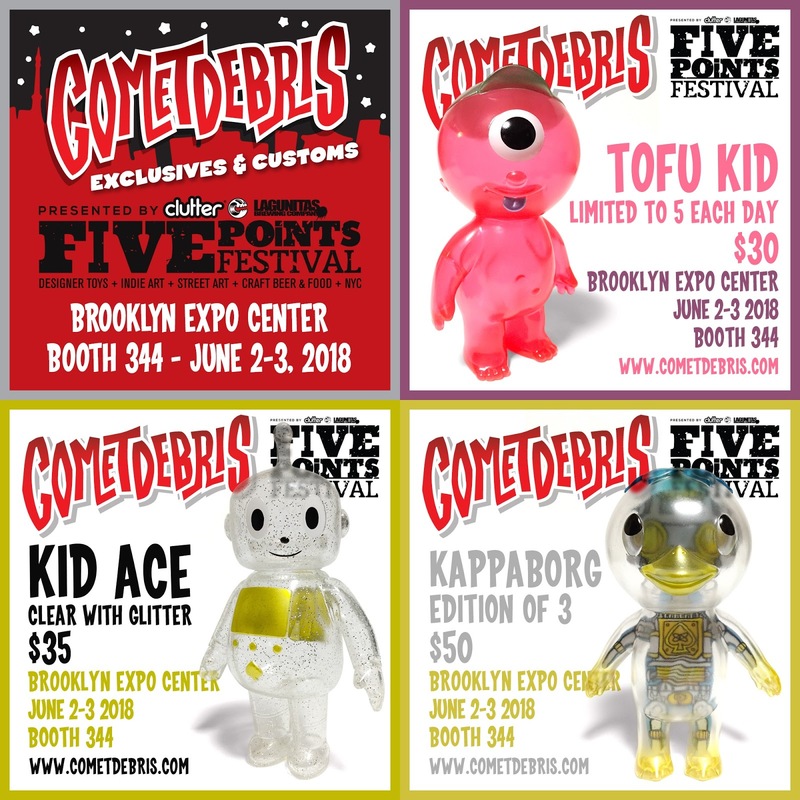 Cometdebris' Five Points Festival 2018 Exclusives! 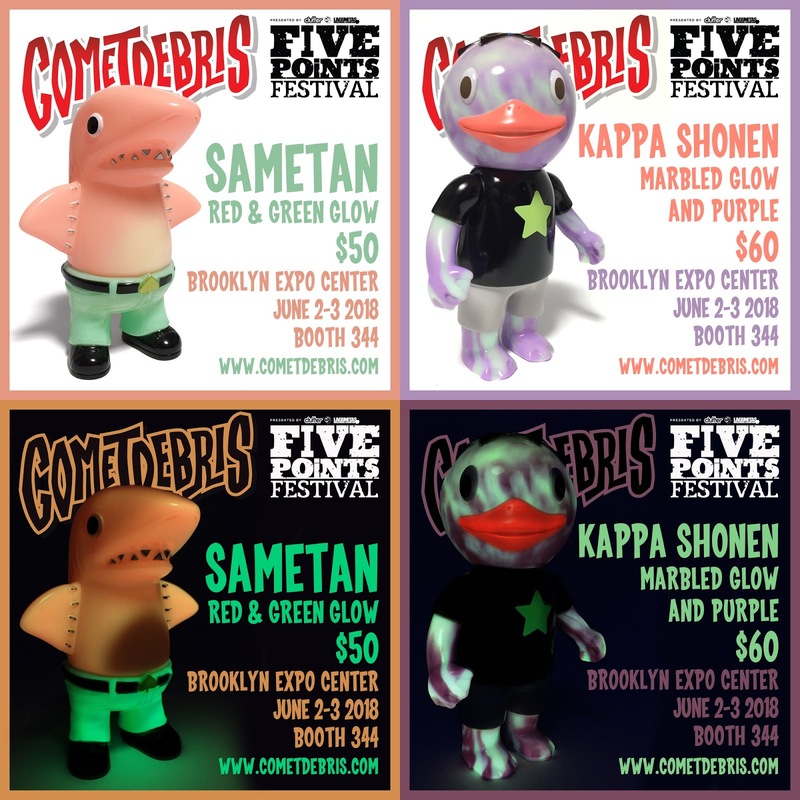 Koji Harmon of Cometdebris is heading to the second annual Five Points Festival convention this weekend in New York City, where he’ll be releasing some awesome sofubi exclusives and customs. 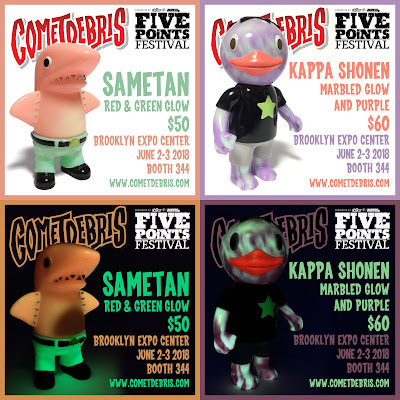 There will be at least six different Cometdebris Five Points Festival exclusives dropping at the two day convention: Translucent Pink Tofu Kid (LE 10 - $30), Clear with Glitter Kid Ace ($35), Kappaborg (LE 3 - $50), Red and Green Glow Sametan ($50), Marbled Glow and Purple Kappa Shonen ($60) and Peach Oni Kid ($40). Koji will also have a ton of 1-off customs, which will be starting at just $50! All of these fantastic figures cast in soft Japanese vinyl can be purchased at the Cometdebris FPF booth #344.